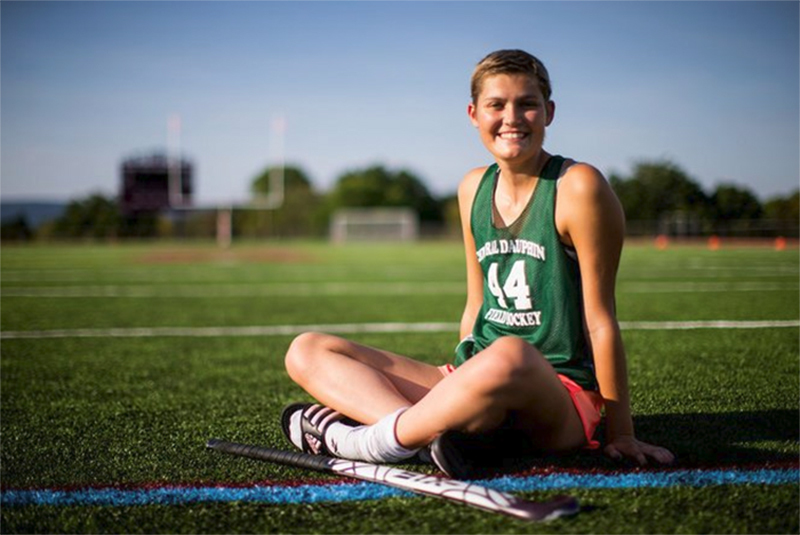 Two years ago, Central Dauphin Senior, Reagan Hollister was diagnosed with Leukemia which is a cancer of the body’s blood-forming tissues, including the bone marrow and lymphatic system. Today, she is helping to change lives and raise money for others who are also suffering from questions. In an interview, she shared details about her story and her mission to help change others’ lives. Interviewer : What convinced you to start your campaign? Reagan: I wanted to be a candidate in the 2018 Student of the Year Campaign because I know first hand how an organization like the Leukemia & Lymphoma Society helps blood cancer patients. In some ways I feel guilty that I beat cancer because I know that not every child or person can say that they have. So, I really wanted to give hope to those people being diagnosed and in a way say thank you to LLS for saving my life. I: Is your family involved in your mission? R: My family was so supportive of my choice to be a candidate. That we’re very involved with planning the events and spreading the word. I could not have done it without them and all of my friends, the school, and the community. I: How much money did you raise throughout your journey? R:Going into the 7 week fundraising period I set a $50,000 goal. I aimed for this because I would then be able to name a grant. I ended the 7 weeks with a total of $61,732.63! I:What has been the best part of this journey? R:The best part of this campaign was seeing how much it brought people together. So many different people helped, some people I didn’t even know! It feels amazing to know that I was able to bring so many people together to support and amazing cause. I:How many awards have you won? R:I won the competition part of the program, which comes with the Student of the Year Title, a trophy, the grant, a scholarship, and I will be on a billboard! I:What is your favorite hobby/after school activity? R:Honestly my favorite hobby is raising money. Other than LLS, I am an Overall for our high school’s four diamonds, so I fundraise all the time! It feels good to give back. I:What do you have to say to anyone going through cancerous diseases? R: I would tell them to stay positive and keep fighting! Everything happens for a reason, and although you don’t know what that may be now, you will have that realization soon enough to answer the question why. I:How old were you when you started? R:I was diagnosed with cancer at the end of February 2016, so I was sixteen. I was very lucky going through treatment, so I only had to receive chemotherapy over 4 months. I rung the “end of treatment” bell, late June of that same year. The next school year was when I started to take a leadership role in Four diamonds, and then run for LLS Student of the Year. I don’t have cancer in my body, but I still feel as if I have to help other people beat it. So I will continue to raise money and help fight until a cure is found. I:When is your next gatherings? R: The campaign ended March 9th, so I do not have any events coming up. I am looking forward to make at least one of my events an annual fundraiser. I really tried to get as many schools [to] help as I could that were in the district. I did a lot of things outside of school as well that I invited many people to. Paxtonia Elementary had a lollipop sale that raised $1,000. Mountain View Elementary had a Chore-A-Thon that raise over $3,000 and many of the schools had teacher dress down days. She went on to list all of the other events and businesses that she teamed up with to help her raise money for her cause. This includes a t-shirt sale, events at restaurants like Chipotle, Texas Roadhouse, Chick-fil-a, Ted’s, D&B Pizza, Knock Knock Boutique, she held a Mardi Gras Gala, a Grilled Cheese Day, a Clothing Drive, a “Cancer Stinks” 5K, a bake sale, and a skating party. Reagan’s story is truly inspiring, and it’s amazing how much she’s done to help others who have the same experiences as she’s had. For more information on how you can help a similar cause, visit the CDHS Four Diamonds Club Page, or find a member around school.